A blog and The Life In Between : The Island Life Of Zanzibar. The Island Life Of Zanzibar. Not your typical island of Africa. Zanzibar has always been on Adam's bucket list, me on the other hand I knew nothing about it but I could always rely on him when it comes to finding the gems of the world when it came to turquoise waters, culture and of course none of them were any closer than 20 hours of flying lol. 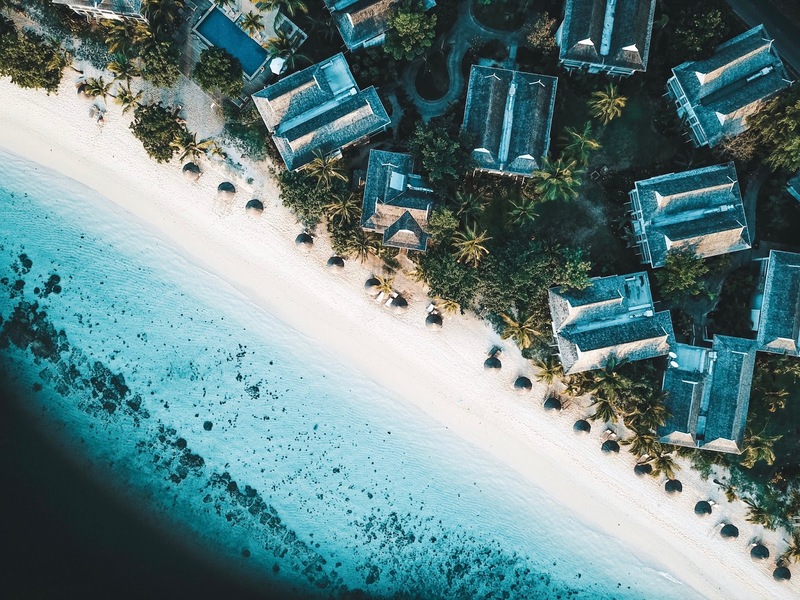 This island was very different from others we've seen in Africa, while most of the islands like Seychelles and Mauritius are in a way more "rich" due to tourism this island was filled with locals, very minimal tourism which brought me sadness in a way I couldn't explain. While driving through the island we got to see how people lived, most of them without electricity, kids running around the streets with no shoes on, most of the people didn't have a car and they survived by selling fruit and vegetables grown in their backyard. It was nothing I've seen before and that might've been the reason why I couldn't enjoy it as much, it made me feel like I didn't appreciate how much I had back at home and how we take everything for granted while these people had barely anything but they were the happiest I've ever seen! Zanzibar is located a few hours away from Seychelles and Mauritius which made me wonder why we didn't just visit these two places last time we went to Africa. Getting to Zanzibar is quite a journey, from Los Angeles we flew to Turkey, from there to Tanzania. Overall I'd say it was around 20hours travel time until we touched down in Zanzibar after all the sea planes, little planes and large international planes. If you don't feel safe traveling in small planes - Africa is not for you as it's unlike any other islands, places I've been to. Getting around the island was extremely easy as we decided to get a driver after we renter a car. I came across this random car rental place online called (Zancars) which offered car + driver for just under $100. Having a local drive who knew how to drive on the other side of the road, knew in-and-out of the island etc. was the best decision we ever made as Adam is usually the one driving in other countries. During the first half of the trip we stayed in Stone town. It was a pretty small town as you could walk around it within a few hours and see everything it had to offer. Unfortunately due to all the traveling I ended up passing out for the first two days and didn't leave the hotel, I either had to rest up and enjoy the rest of the places we had planned to visit or try to stay awake and crash later in the trip. Because Stone Town offered a lot of culture, history etc. more of what Adam likes he left me at the Hotel and went to explore town on his own while I slept and roamed around the hotel. Once he got back which was literally hours later he said he met a local that took him around town to show all the places Stone Town was known for, unfortunately I can't tell much about it as I was dreaming back at the hotel. For the second half of the trip we moved to the North side of the island which I fell in love with! Hotels were beautiful, turquoise waters steps away from the place we stayed at and sand was the whitest I've ever seen. Needless to say this side of an island was my kinda paradise. Hotels were under $500 a night in Stone Town and under $1000 a night on the North side of the island. P.s. 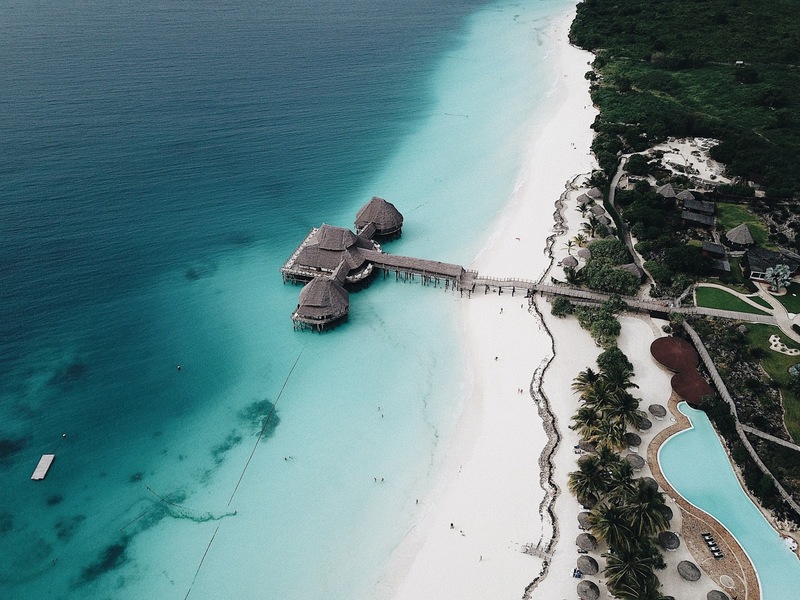 we red a lot of articles about bringing a drone to Zanzibar and Tanzania and as worried as we were we had no issues with it, the airport let us through and no questions were asked when flying it! To get to North side of the island from Stone Town it takes a bit over an hour and if you're not into culture, old town etc. and want to relax by the beach head over to the North side as soon as you land. We happened to find a "turtles pond" which was just under 5 minutes away from the hotel which was known for as a touristy destination and my oh my did I freak out when all these these turtles were circling me around haha! It was such a fun experience and I am glad I did once in my life because it's nothing like swimming with turtles in an open water. While I love swimming in the ocean and having a turtle or two pass by me this was nothing like it, once you had food in your hand they surrounded you like you're the only thing that existed there! 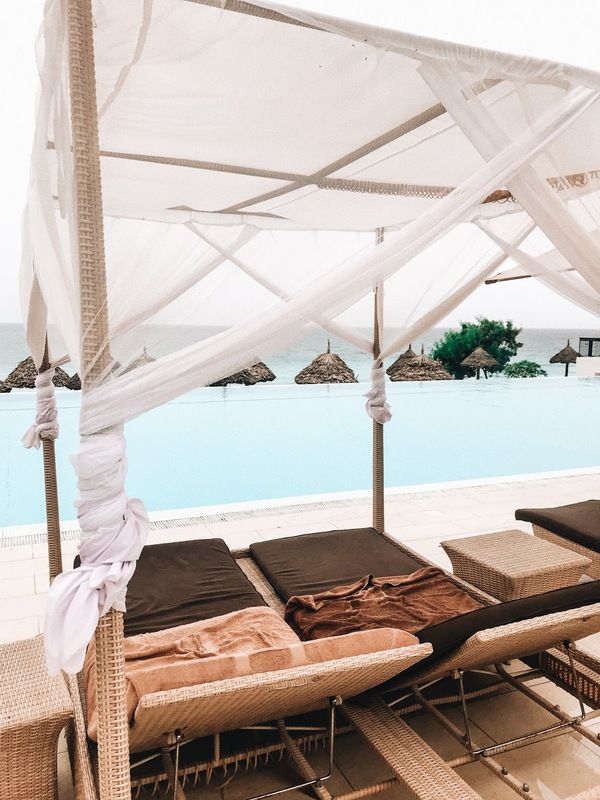 I highly suggest checking it out if you have plans to go to Zanzibar. Zanzibar also offers all the water activities you could think of but we were there for a short amount of time and mainly wanted to relax and only see a few things island had to offer. La Digue. You can see more on HERE. Seychelles. You can see more on HERE. Mauritius. Will do a blog post on it shortly! Hey Emilia, it's called Hideaway Of Nungwi! 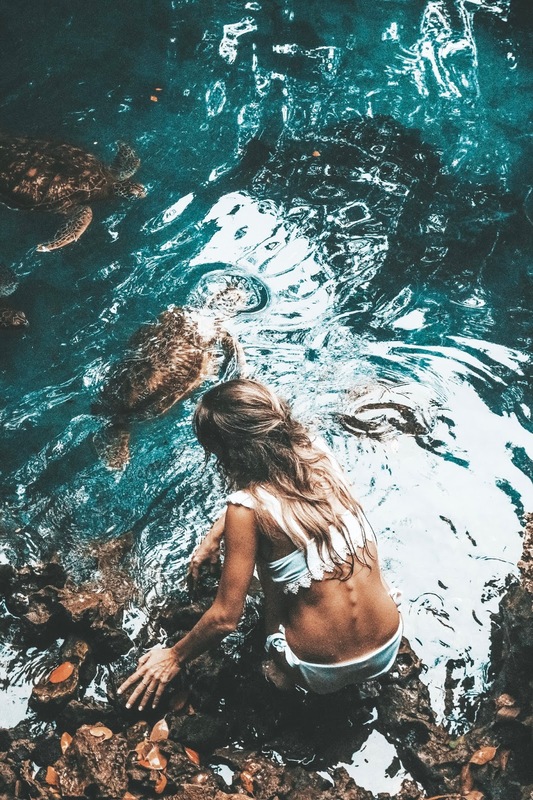 I def recommend seeing the turtles, besides that we were only there for 2 full days or so as there is not much to do :) I'd say go to Seychelles or Mauritius after or before, that's what we did. I went to Zanzibar. It’s so far away from canada ����! Your right so beautiful but is t worth it ?